F112 (J67). 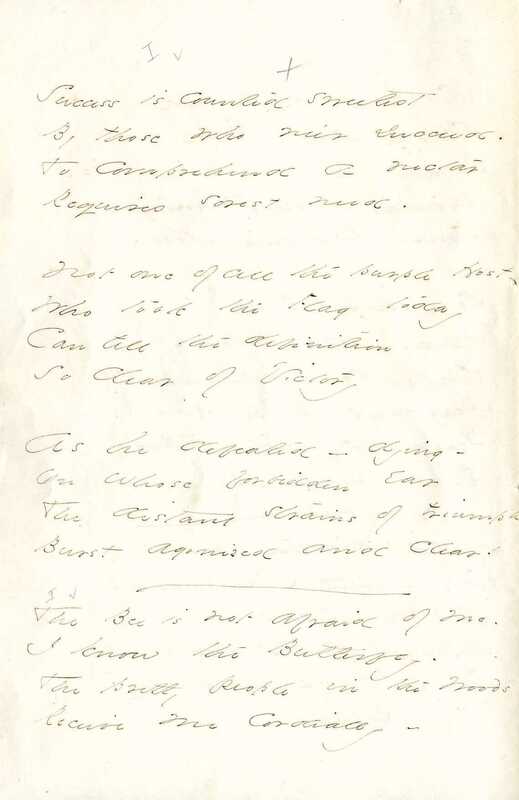 Ofbylding: Amherst College Library, Emily Dickinson Collection, 83. YouTube: Andrew Violette, ‘Success is counted sweetest’, 2011, útfierd troch Valerie Bernhardt (sopraan) en Andrew Violette (piano). 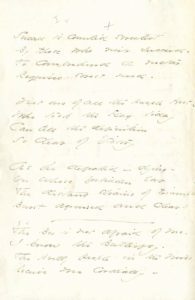 This entry was posted in Emily Dickinson and tagged Andrew Violette, Emily Dickinson, Valerie Bernhardt. Bookmark the permalink.